If my sister were here, she would sketch the connections between everyone in the Lodge right now—it’s how she understands the world. The result would be like one of those Halloween cakes decorated with a spider web. Or a chocolate swirl cheesecake, where you draw a knife through the dark batter to make patterns in the light. That’s how I pictured the crime investigation board Ike Hoover would create, back at the sheriff’s office. Small-town connections get sticky when things go bad. Almost everyone knows of Leslie Budewitz. She’s won two Agatha Awards; 2011’s Best Nonfiction for Books, Crooks & Counselors: How to Write Accurately About Criminal Law and Courtroom Procedure and 2013’s Best First Novel for Death al Dente, the first in the Food Lovers’ Village series published by Berkley. In 2012, she was nominated for Macavity and Anthony Awards. Leslie’s set a high benchmark for herself. In Crime Rib, the second in the series, released July 1, Erin’s Irish lucky at solving murders, but her romantic life has her dithering. Montana food and two mysteries to solve will please readers. Following the interview, I’ve included a cheat sheet for Crime Rib. I found myself wondering at some of the terminology and creatures, which I concluded must be epicurean and Montana specific. As I’ve become acquainted with main character, Erin Murphy, I’ve wondered how much of Erin is Leslie in disguise—a theory I’ll test with this interview—but I suspect the result will be a cryptid (see Cheat Sheet). Would you provide our readers with a short synopsis of Crime Rib? In Crime Rib, second in my Food Lovers’ Village Mysteries, the TV show Food Preneurs comes to Jewel Bay, Montana to film the 35th Annual Summer Art and Food Festival and the annual steak grill-off. My protagonist, Erin Murphy, manages a grocery specializing in local foods. After disaster struck the village in Death al Dente, Erin is content this time to stay on the sidelines, keeping her focus on the Merc and scouting festival vendors for new products. When the show’s producer is killed in a hit-and-run, Festival organizers beg her to step in and help out, to give Jewel Bay a shot at national publicity. How can a local girl say no? But when the host reveals a less than camera-ready side of himself, and a contestant is attacked and killed, Erin worries that the town’s reputation as a family-friendly, food-loving, vacation village will go up in flames. And when the sheriff runs out of leads, it’s up to her to smoke out the truth. Erin doesn’t like sweet potato chips. I also found myself sharing Erin’s opinion that tiramisu isn’t worth the calories. I feel that way about cannoli, too. Do you feel that way and why? We all have our food quirks, even Erin! She’s surrounded by good food, but there are certain trendy things she just doesn’t care for. I’ve never been a big fan of sweet potatoes, but if you put a bowl of those vegetable chips in front of me, I’ll eat them all---including the sweet potatoes! She won’t. Erin identifies closely with the Italian half of her heritage, and I thought it funny that she didn’t like the trendy and very Italian tiramisu. Put a plate of cannoli in front of us, though, and watch the forks fly! Erin loves to ride horses, do you? Although I rode some as a girl, I haven’t ridden in years. Made sense to me, though, that Erin would take up riding as part of her friendship with Kim Caldwell, which started when they were in the sixth grade. Kim’s family runs a dude ranch and guest lodge a few miles from the village, based on a lovely and popular place outside the town where I live. As well, horses and riding are a big part of Montana heritage. For me as a writer, sending Erin out on the trail is a wonderful way to give my readers an experience of both the woods and the vistas. And it’s a great way to throw Erin together with Kim or other characters in a situation where no one can escape tough questions---or tough situations---quickly. After a few false starts with shop assistant, Tracy, Erin is enjoying seeing her blossom into a professional and an entrepreneur. Do you love to watch other writers come into their own? I’m glad you picked up on that aspect of the story. Erin sees the Merc as more than a business: it’s a central part of her family and of the village. It’s also a business incubator, where she can share her knowledge and experience in food-related retail to help others pursue their passions and turn them into profitable businesses. Erin has seen first-hand, from watching her mother and from working as a grocery buyer for a large international warehouse company, that the transition from developing a great product to selling it successfully is not always smooth. Fresca, Tracy, Luci the Splash Artist, the vintners, and others get the benefit of her guidance. And of course, that’s sometimes a challenge for writers as well. As a founding member of the Guppies, the Sisters in Crime chapter for new writers, I’ve been part of a terrific group of writers helping each other navigate the sometimes-rough waters of writing and publishing. As the author of a guide for writers, Books, Crooks & Counselors, I’ve been able to share my knowledge of legal topics that often come up in mysteries and other fiction. It’s always a delight to help a writer figure out how to deepen a plot or character by using a legal issue, or to accurately portray a bit of courtroom dialogue or legal thinking. Erin makes some executive decisions that overrule her mother, Fresca. She’s getting better at managing her mother and doing her job. Yet she comes to realize that Fresca has very good foresight and vision for the business. Must partners have a single vision? A single vision, no. A shared vision, yes. But what’s going on here is really the age-old parent-child conflict. Fresca knows the shop has struggled in her care, because she’s more interested in cooking than in retail management. And she knows Erin has the skills she lacks. She invites Erin home to take over---but giving up control to a child, even one now past 30, isn’t always easy. Sometimes the parent doesn’t see the child as an adult, nor see the reasons for change. The child is sometimes uncomfortable in the parent’s shadow, and may not be in the family business for the right reasons. Other times, of course, the combination works beautifully. I’ve worked in a family-owned business where I was the outsider, and represented and observed many other small and large family businesses. But the challenges---even in a well-run business and a loving family---are very real. As Crime Rib opens, Erin is dating two very different men, but it’s clear she feels compelled to make a choice. Do you know what she’ll do? I do now, but only because I’ve just finished writing the third book! When the two men appeared in Death al Dente, I knew she’d eventually make a choice, because she wants to “settle down” and start a family---and so do both Rick and Adam. They are both appealing men---with very different drives and goals, and different views of Erin. In Crime Rib, the prospects begin to be a bit more clear as the characters reveal more of themselves. As the story ends, Erin finds herself satisfied with the status quo. But don’t worry---neither her contentment nor her ambivalence will last much longer! In the mountain valleys, nights under the stars can be a bit cool---as can early mornings before the sun clears the peaks, so it’s best to keep something warm close by! How do you know that not all grocery buyers love eating and cooking? 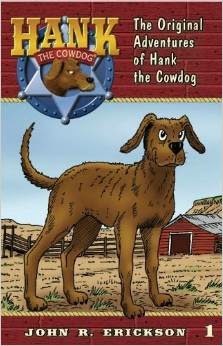 I loved the phrase, “full-figured Golden Retriever.” Was there a real dog you had in mind when writing this character? No single dog, though Duke combines the best of several retrievers I’ve known and Alfre, a half-Golden, half-Samoyed we owned for several years. None had Duke’s Big Adventure, though---at least not that they ever told me! “On TV crime shows, the cops always say there’s no such thing as coincidence. But life isn’t a TV crime show. Even if it sometimes seems like one.” (Crime Rib-Page 87) How does Erin feel about coincidence? How do you feel about coincidence? In Crime Rib, Erin cannot believe that two horrible crimes could happen in her peaceful community without some underlying connection. And she doesn’t want to believe that violence happens for no reason---even if that reason seems irrational to the rest of us. That drives her to ask questions that seem irrelevant to Detective Kim Caldwell and Undersheriff Ike Hoover, probing possible connections between past and present and between people who seem to be connected only by chance. In real life---that is, life off the page---we don’t always get the answers to those questions. On Page 60, Erin tells her date (which may explain her dating woes), “When you buy local, more of the money stays put. Transportation costs decrease, the carbon footprint goes down, and you feed you neighbors and yourselves. That’s economic power, for social good.” Is this movement in Montana real or a creation of your imagination? Oh, this is absolutely real---here and across the country. The local foods movement is a powerful force for social and economic change. 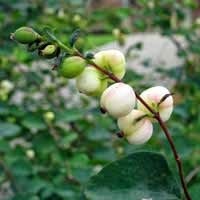 Many people have rediscovered the pleasures of knowing who grows at least some of their food, especially as large conglomerates have more and more power, as chemicals in food become more prominent and harder to identify, and we are reminded of the role of nutrition in health. More commercial groceries are labeling locally-raised products and promoting them, something the natural food grocers have done for decades. We may not have as cooperative a climate as folks in other states, but we have a strong streak of self-reliance! And yes, Erin did get a bit preachy. But then, so did he! When Erin refers to her brother Nick, she says “he’s a wolf biologist, putting him smack in the middle–in the cross-hairs–of a hugely contentious debate. Which he hates.” Can you tell us more about that? Out west, the Northern gray wolf is the subject of debate, much of it acrimonious. Wolves were deliberately exterminated in the early part of the 20th century. Within the last two decades, wolves recurred naturally in some areas, including my valley, migrating down from Canada. At about the same time, wolves were reintroduced by federal wildlife managers in Yellowstone National Park and in central Idaho, allowing them to be brought back into the ecosystem in a controlled manner and studied. As their numbers have increased, so have conflicts between wolves and humans, mostly involving livestock predation. The wolf’s long history in myth and legend also plays a part. Wildlife biologists who count, study, and manage the population, or who study the wolf’s effect on the land and other animals, are often put in difficult positions by rabid wolf-haters who would hunt them back into extinction, wolf admirers who turn a blind eye to real concerns, and law-makers who may allow one side or another to influence their decisions. Nick plays a key role in the third book, out in July 2015, which delves more deeply into this debate. Those killed are not the only victims resulting from murder. Both victims leave behind young children. Was this the theme of Crime Rib? I’d say the theme is the consequences of betrayal, both real and perceived. But you’re quite right that murder has many victims, including those left behind and the community itself. I do want to assure readers that the two children are never in danger---only one appears in the story, and never in harm’s way---and both have a loving, surviving parent and strong families. The effect on them is, in a way, an echo of Erin’s own experience, although she was a teenager when her father was killed. More about that in Book Three! Thanks for the interview, Leslie. In one of your series’ books, I want to know about Erin’s wrist stars and why she rubs them for good luck. But I know you won’t tell me! In truth, there’s no deep, dark secret to Erin’s stars. Just a touch of superstition in a woman who considers herself a rational planner. We all have a bit of that inconsistency, don’t we? Thank you for letting me stop by, and for some terrific questions! Until then, here’s my Crime Rib cheat sheet for our readers’ convenience. Couverture-covering/coating of high quality chocolate containing 32-39% cocoa butter. Hank, the Cowdog-a picture explains it all. At right. Omnivoracity-(UK English Dictionary) 1. Having an eagerness to consume great amounts of all kinds of food; ravenous. 2. Having or marked by an insatiable appetite for all activities or pursuits; greedy. 3. Boundless greed for all things: an omnivoracity for history; a gluttonous consumer of fine foods. Panoply-a complete and impressive collection of things. 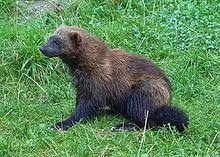 Wolverine-a big, nasty weasel (paraphrased from www.Dictionary.com). See picture, right. Welcome to WWK, Leslie. I enjoyed your first book very much; the characters and the location of a place I've yet to visit. I'm looking forward to reading the 2nd book in your series. Terrific interview, Elaine and Leslie. Great questions and a tantalizing description of your books, Leslie. Thanks for the warm welcome and the kind words. Elaine says I made her do some homework, but her questions made me do some thinking, too! Hi Leslie, thank you for stopping by WWK. Your books combine so many enticing elements - gorgeous setting, great food, fun characters - with timely themes and issues. And your covers are beautiful. Did you work with the artist? And EB - another great interview! Hey Leslis -- welcome to WWK. Love the idea of a crib sheet and your terse description of a Wolverine -- although I assume you are referencing the wild animals rather than those who attended Michigan University (assuming they are not one and the same). Thanks for stopping by and best wishes for your continued success. Thanks, Shari! I love the cover, too. Berkley Prime Crime works with such talented artists. My editor works with the art department, and passes on any suggestions I have. For Crime Rib, it was clear we wanted to focus on the art fair and the grill-off, and bring in the lake & mountain views. Also love seeing Erin's cat and the two dogs -- and the Retriever plays a big role in the story! Thanks for stopping by, Leslie! Great interview and your books sound amazing! Thanks for the interview, Leslie, and for making me look up the Montana and culinary words--I love learning new words. Your books are a pleasure. Come back and visit us soon! Thanks to you all! I love sharing my part of the world with you -- I tend to forget it's not the center. Not even the middle of nowhere. More like the far edge of nowhere -- but I do love it! Thanks again for letting me join you! Thanks for a great interview. Your books sound like perfect summer reading! And the idea of a cheat sheet is a good one. Thanks, KM! I do love that cheat sheet! Why Did I Come in This Room? The Hottest Kids' Book of the Summer Is….